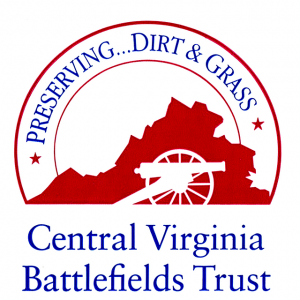 The Central Virginia Battlefields Trust has elected three new members to its board of directors. Chris Mackowski, John McManus and Eric Wittenberg will each serve three-year terms. Chris Mackowski, Ph.D., is the editor-in-chief and co-founder of Emerging Civil War. He is a professor of journalism and mass communication at St. Bonaventure University, Allegany, N.Y., and historian-in-residence at Stevenson Ridge, a historic property on the Spotsylvania battlefield. He has also worked as a historian for the National Park Service at Fredericksburg & Spotsylvania National Military Park. Mackowski has authored or co-authored more than a dozen books on the Civil War, and his numerous articles have appeared in major Civil War magazines. He also serves on the national advisory board for the Civil War Chaplains Museum in Lynchburg. Attorney John McManus has called Fredericksburg home for more than 22 years. As managing partner of Hirschler Fleischer’s Fredericksburg office and a member of the firm’s board of directors, McManus is active in the local business community and committed to preserving the area’s rich history. Among other leadership roles, McManus serves on the board of governors for the Community Foundation of the Rappahannock River Region and is a former board member of Rappahannock Goodwill Industries Inc.
Eric J. Wittenberg is an award-winning historian, blogger, speaker and tour guide. His specialty is Civil War cavalry operations, and much of his work has focused on the Army of the Potomac’s Cavalry Corps and on the Gettysburg Campaign. He is the author of 21 published books on the Civil War and more than three-dozen articles that have appeared in various national magazines. He is also deeply involved in battlefield preservation work and often assists the American Battlefield Trust, formerly the Civil War Trust, with its efforts. The Central Virginia Battlefields Trust preserves land associated with four major Civil War campaigns: Fredericksburg, Chancellorsville, Wilderness and Spotsylvania Court House. Incorporated in 1996, CVBT has since helped preserve more than 1,200 acres of historic battlefield terrain. The Central Virginia Battlefields Trust is one of the leading local advocacy group partners for the American Battlefield Trust, and has done some remarkable battlefield preservation work in its own right, having saved 1200 acres of important battlefield land in and around the Fredericksburg, Virginia area. It is my honor and my privilege to have been asked to join the CVBT board of trustees. I join a group of talented and dedicated volunteers who are committed to saving endangered battlefield land. By joining the CVBT board, I am able to make a more direct contribution to the preservation work that means so very much to me. The CVBT covers its overhead from the dues that its members pay. Please consider joining the CVBT and help us to accomplish our goal of saving battlefield land. Every membership helps us to cover our overhead and to devote resources to buying battlefields. I hope that you will consider doing so. For more information about membership in the CVBT, please click here.